Living Life in Rural Iowa: Want An Easy Way To Make Candles? Try Wax Crystals! 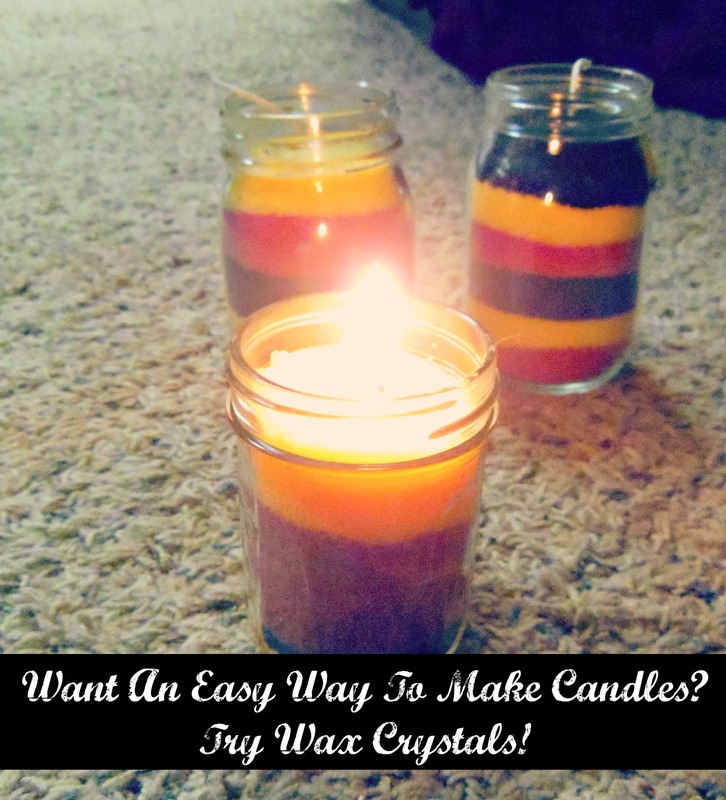 Want An Easy Way To Make Candles? Try Wax Crystals! Making candles is a skill I have been working on in the last year. I have done the melt and pour method, the beeswax sheet method, and the wax crystal method so far. The wax crystal method, by far, is the easiest method. This method is great for a beginner! You can do this school age children. 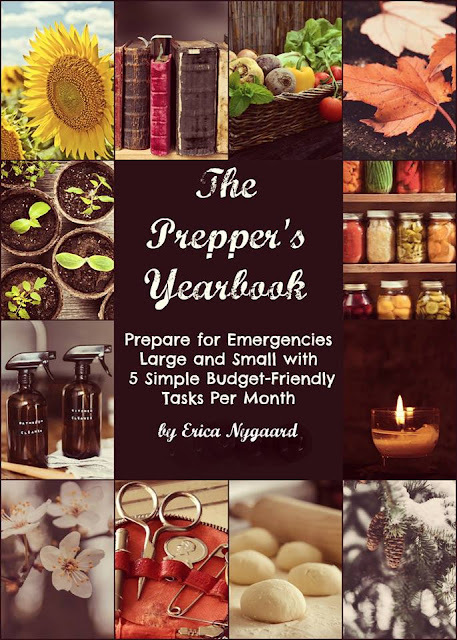 You can do this with friends and have a great, easy addition to your emergency preps. Shali made these as graduation gifts for her friends when she graduated from high school. Wax Crystals - We got ours from Hobby Lobby two years ago. I have also found them online. Wicks - I used these wicks. Glass jars - I used old jars that are not okay for canning anymore. To start, I cut the wicks to length of my jar plus one inch. You can always trim down, but you can't add more. Attach the wick to the wick tab by either trying a knot or using a bit of melted wax to hold the wick on. I choose to do layers of different colors because I liked it. You can do just one color or whatever floats your boat! Start pouring the wax crystals in carefully while holding the wick still and straight. Speaking from experience, you might be better off with a second person holding the wick so you can pour. Just saying. Continue to pour the wax crystals in until you have reached the bottom of the neck of the jar. You should have at least one inch of wick hanging out. Trim the wick down to 1/4 of an inch. This may seem crazy, but light each candle for a bit to harden the top of the candle. Then the wax crystals will not "accidentally" fall out when you bump the candle. Then you might need a vacuum. An easy project, a great gift to make and give, and a great boredom buster in the winter! Have fun!